Gift your favorite teachers this year with a gift they will love and actually use! 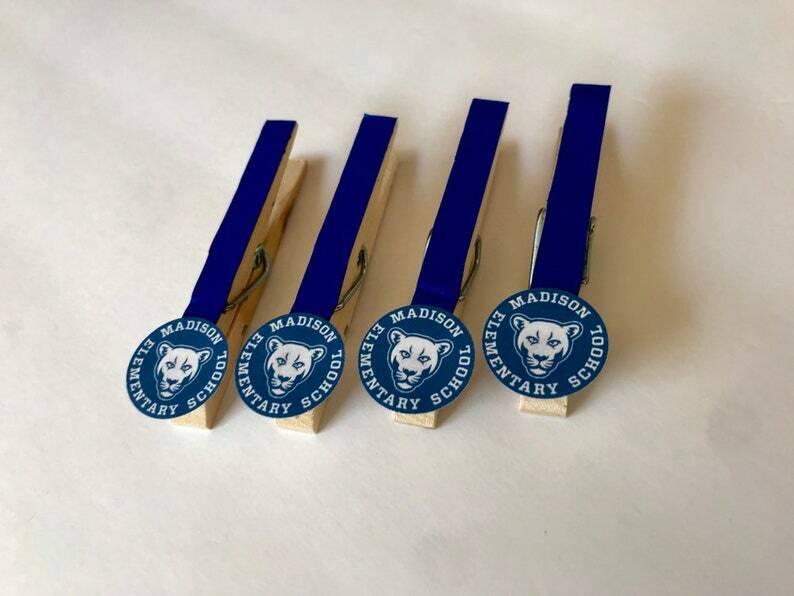 You provide the school logo (or a link to it) and I’ll make a custom set of four clothespin magnets featuring a coordinating clip color and logo embellishment like pictured. They come nicely packaged on a business card and a perfect way to tuck a giftcard in there for the perfect gift! Each clip is $2.25. Message me for a custom quantity or to advise on packaging instructions. When ordering, please message me (or email -- onemoresunshine1 <at> gmail.com -- NOTE THE NUMBER ONE IN THE EMAIL ADDRESS) the school logo, or a link to it online and advise the desired color of the clips. 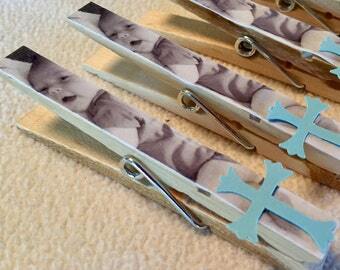 Each clothespin measures approx. 3 1/4" tall x 1/2" wide. 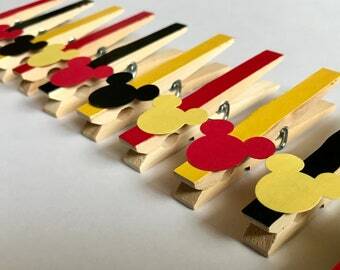 Your clothespin set will be packaged nicely with a gift bag and bow, ready to give away or use yourself!